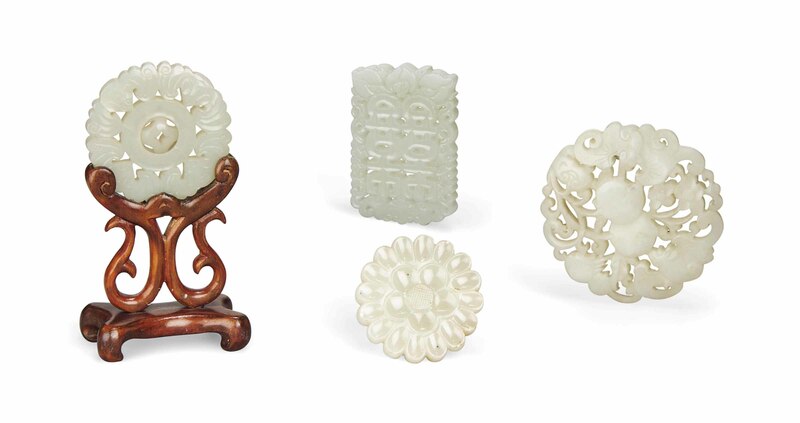 The group comprises a white jade round pendant carved and pierced with bats and peaches; a celadon jade round pendant carved and pierced with a revolving central section; a celadon jade plaque carved and pierced with a shuangxi character; and a celadon jade floral pendant. The largest 2¾ in. (7 cm.) diam.